Pepin Giant Coloring Books offer creative, thematic designs for the artist. 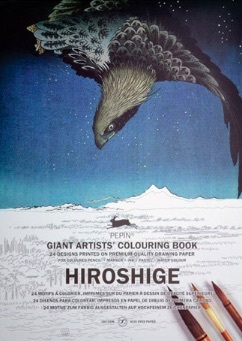 Each 30 × 40cm book contains lightly printed designs on high quality drawing paper. Perfect for colored pencils, watercolor pencils, artists’ markers, pen & ink, pastels and mixed media. Each book has sixteen unique designs on 180gsm acid-free drawing paper that can easily be removed for display. When used with high quality lightfast color products, the artwork can last for years. Do not expose to direct sunlight.